Steve Jobs was an extraordinary man. He has left his mark on four industries: personal computers with Apple II and Macintosh, music with iPod and iTunes, phone with iPhone, and animation with Pixar. With no college education, he managed to build an empire and became a multi-millionaire in a few years. He was is now widely acknowledged as one the world’s most eminent business executives and an unrivalled visionary. He has, quite literally changed millions of lives by making technology easy-to-use, exciting and beautiful. 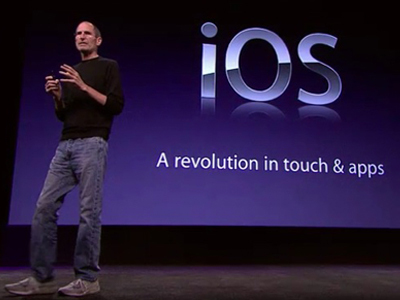 Steve Jobs announced he was suffering from pancreatic cancer in 2004 and on Wednesday, 5th October died at his home. His death was announced by Apple. 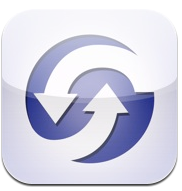 One of his creations is the mobile platform iOS which can be found on iPod, iPhone and iPad. Mobile computing has revolutionised the way we use our mobile phones. Allowing us to do much of what can be achieved on a laptop on the move. If it weren’t for Steve Jobs many of the advanced mobile operating systems would have taken much longer to create. To celebrate the life of Steve Jobs and the developments he pushed forward, we share with you 3 iOS apps which may be use for individuals living with HIV. 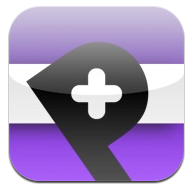 PozTracker is simple and secure health management tool for people living with HIV/ AIDS. It is designed to help you stay on track with your medication, record your test results & monitor your progress. HIV iConference puts HIV/AIDS conferences in the palm of your hand. Within hours of a national meeting or international conference, HIV iConference brings breaking news, clinical trial results, abstracts, expert commentary, and interactive meeting features right to your iPhone. Access same- or next-day content through a user-friendly interface. Follow program discussions. Archive relevant meeting highlights. All that—and earn CME credit, too. HIV iConference coverage is selected and edited by renowned faculty who share their expert perspective on the clinical implications of breaking results. They’ll put you up-to-speed with new knowledge and ready to translate relevant clinical findings to patient care. This entry was posted in Uncategorized and tagged AIDS, apple, Elton John AIDS Foundation, hiv apps, iOS, iPad, iPhone, iPod, iTunes, obituary, Steve Job, steve jobs, technology. Bookmark the permalink.